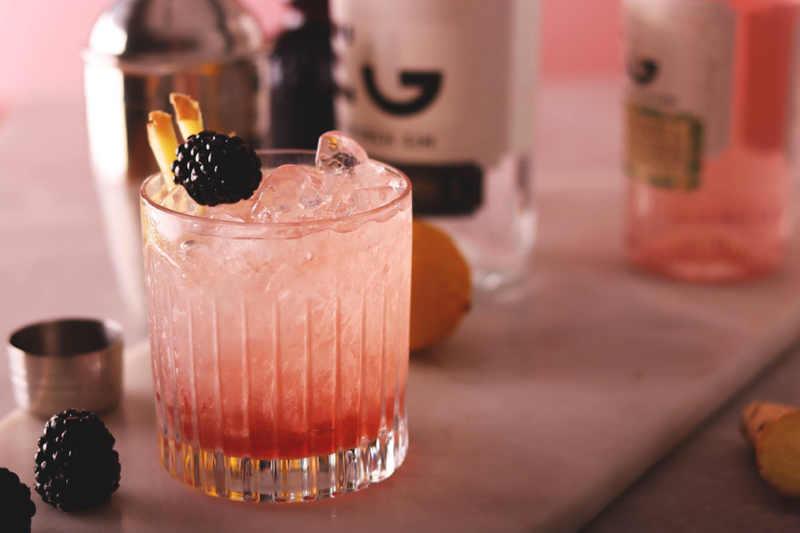 Edinburgh Gin and Malmaison Birmingham have teamed up to host the ultimate juniper journey, with a specially created five course feast inspired by and paired with the distillery’s award-winning gins, taking place on Thursday 15 March. Known for its multitude of different flavours and infusions, from the fruity to the botanical, Edinburgh Gin will be used in all of the evening’s five courses, which will be lovingly handcrafted by Malmaison’s executive chef. Guests will be greeted with a welcome drink of (naturally) Edinburgh Gin, along with canapés including manchengo and iberico chorizo; all in the sleek and sophisticated setting of Malmaison’s mezzanine level known as ‘Work and Play’. Following this, they’ll be treated to a stunning menu, with Edinburgh Gin at the forefront of the creations. With dishes including elderflower gin cured salmon, pan fried venison loin marinated in plum and vanilla gin, and rhubarb and ginger gin custard, the menu allows Edinburgh Gin’s award-winning flavours to really bring out the best in the food, and vice versa. Of course, guests will be able to drink their gin as well as eat it, as each course will be accompanied by a complementary gin serve. As if that wasn’t enough to tantalize the senses, the night will be finished with an artisan cheese and bread selection. Edinburgh Gin itself has taken the spirit world by storm since it was established back in 2010. Priding themselves on their dedication to ‘distilling an art form’ the brand takes inspiration from its home city of Edinburgh, with its rich history of science, art, philosophy and invention. Its multitude of flavours and infusions, ranging from raspberry, to pomegranate and rose, to Christmas gin and more, lends itself well to the recent explosion of the gin cocktail, along with decorative aesthetic gin drinks that have taken social media by storm. Not to forget the more traditional gin lover, Edinburgh Gin does a classic juniper-forward gin along with a ‘navy strength’ cannonball gin. Whether you consider yourself a hard-core gin lover, or if you’re new to the spirit and curious about the different styles available, this dinner is a perfect way to explore and refine your passion for all things juniper, as well as discovering your next favourite food. Tickets are priced at £60 per person, which includes a welcome drink, five course meal and five innovative gin serves. If the temptation strikes you, you can also book in to stay at Malmaison afterwards, for £130 (subject to availability.) To book your ticket to this fabulous event, follow this link: http://buytickets.at/edinburghgin/.